We know you need to be able to make changes quickly, so we designed the MX400’s intuitive front panel to be a bare minimum of knob tweaks away from any adjustment or effects change. For example, three individual, assignable parameter controls mean you don’t have to page through menus to fine tune a reverb tail. 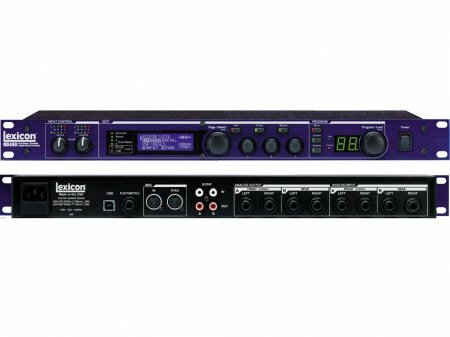 Because you can use its built-in dbx® compression and de-essing in tandem with reverb, the MX400 is the perfect tool for taming problem vocalists. Finally, you can rely on the MX400 for years to come, through countless load-ins and loadouts — although its sound is A-studio-quality, we designed the MX400 to withstand dust, moisture, shock, power surges and all the other rigors of live sound use.